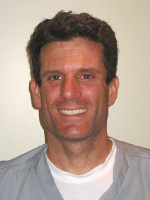 Chris Ferrigno is a physical therapist in Chicago, Illinois where he works in outpatient orthopedics. He received his Masters of Physical Therapy in 1999 from the Medical College of Georgia and his Bachelors of Science in Education in 1995 from the University of Georgia. Chris is an avid athlete. His athletic accomplishments include finishing the Ironman Triathlon and winning Team Gauntlet’s “Athlete of the Year” in 2007.